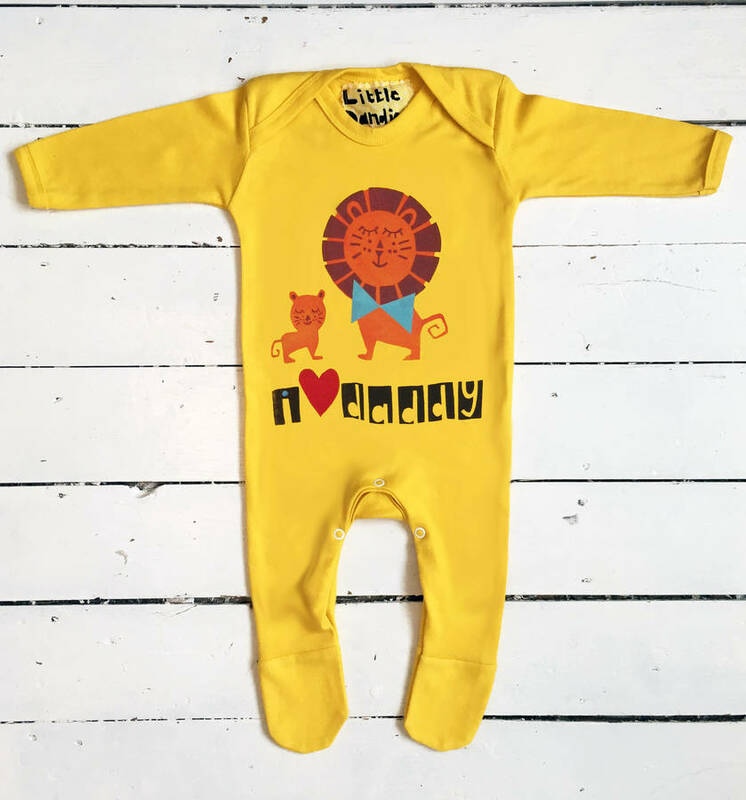 A funky brightly coloured special Father's Day lion print babygrow in sunflower yellow. This babygrow features a hand-printed dad lion with a pink or blue bow tie, next to baby cub, with the words 'I love daddy' underneath lion image. 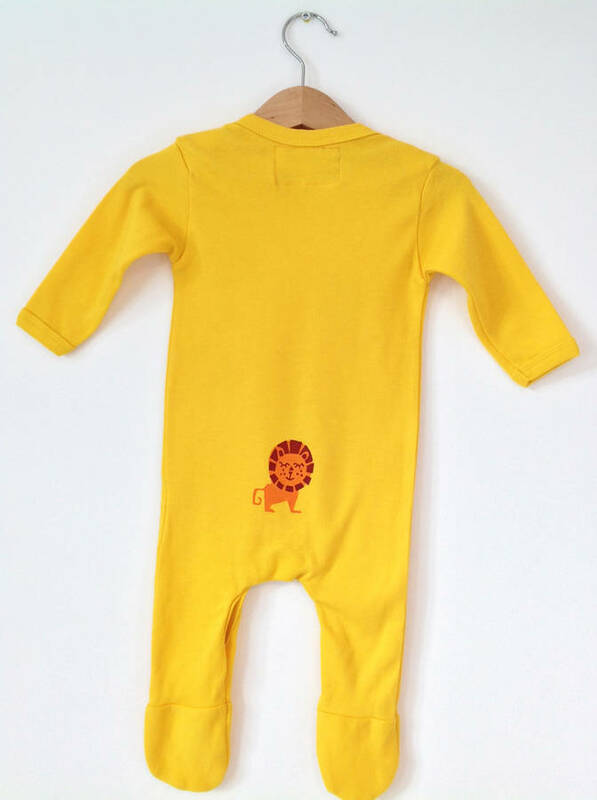 On the back of the babygrow a cheeky lion is printed on the bottom. 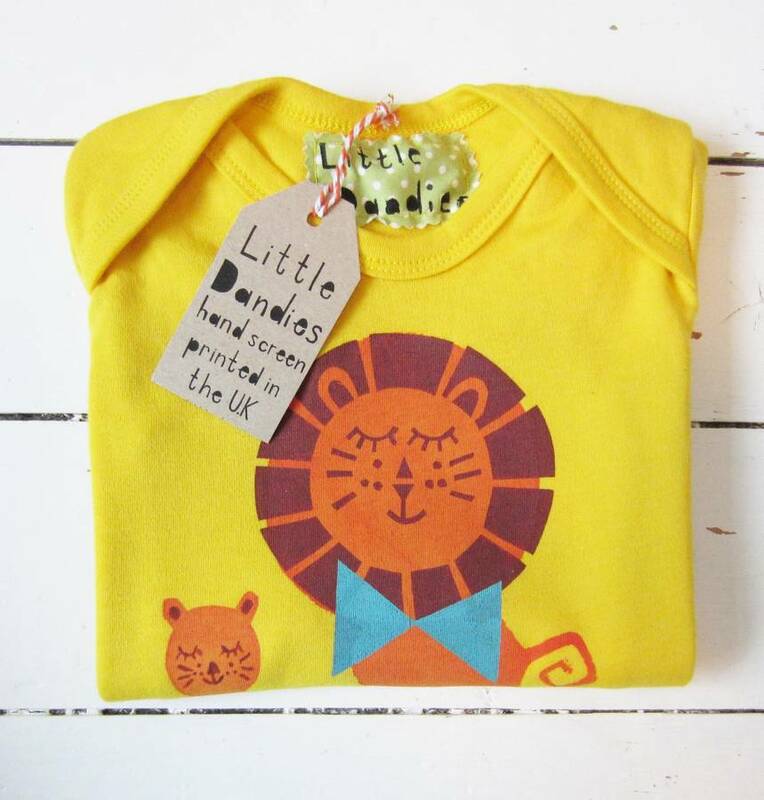 Little Dandies babygrows are a really fun and unique present for a newborn and a great present for a new dad. 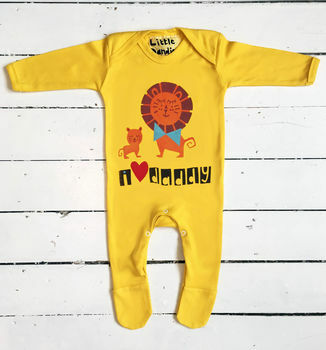 All our funky colourful babygrows are hand-printed by us and made in the UK, every one is unique and special. Please see our shop for further personalised babygrow designs. Love this design? We also have the same designs and more in animal printed cushions, t-shirts and sweatshirts. 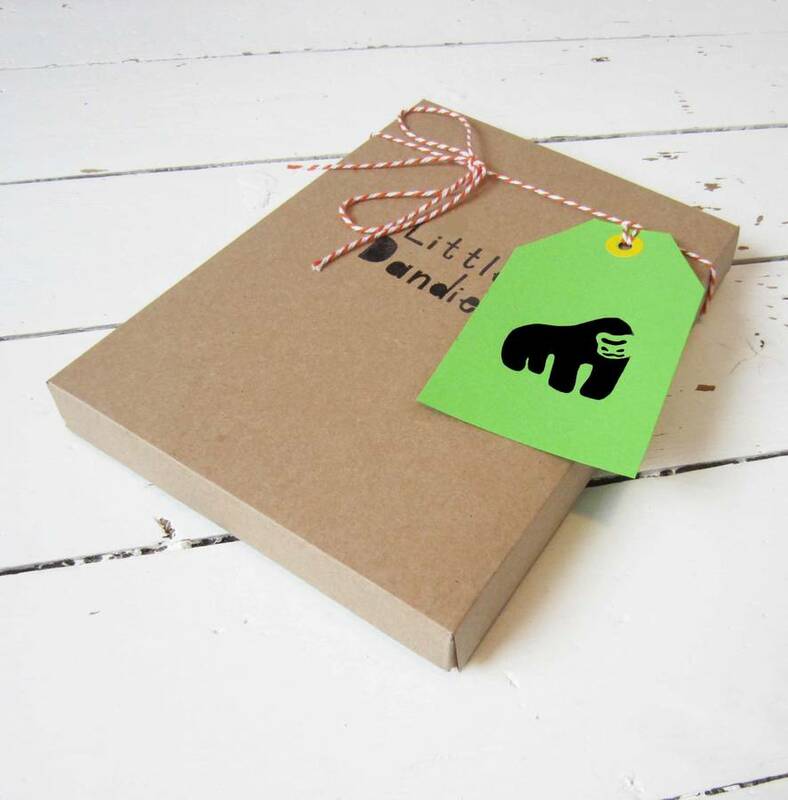 If you spend over £30 with Little Dandies in one transaction you will recieve free delivery to the UK. 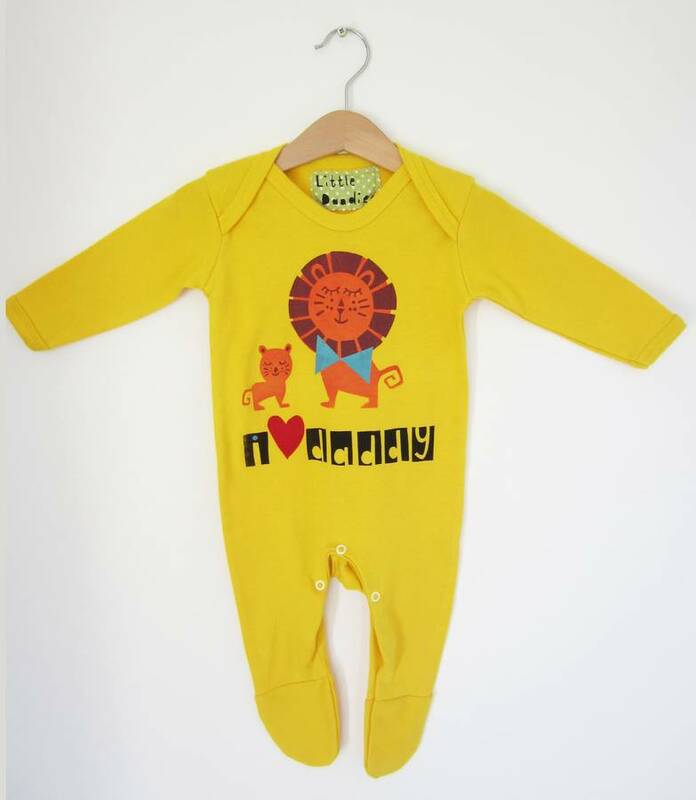 Keep your babygrow looking good and wash at 30 degrees, tumble dry at a low heat.